says Tony Aspler. And he should know. As well as being one of Canada’s leading wine experts, he also has a keen palette for fine cheddars. As a rule of thumb, plan on a half bottle of wine per person. should be opened and allowed to breathe at room temperature for two hours before serving. reds and end with a port or sherry. Research the websites of your selected wineries to see if they offer specific food or cheese suggestions to pair with their specific wines. Cheeses with higher fat or moisture contents are better suited for lighter and white wines. 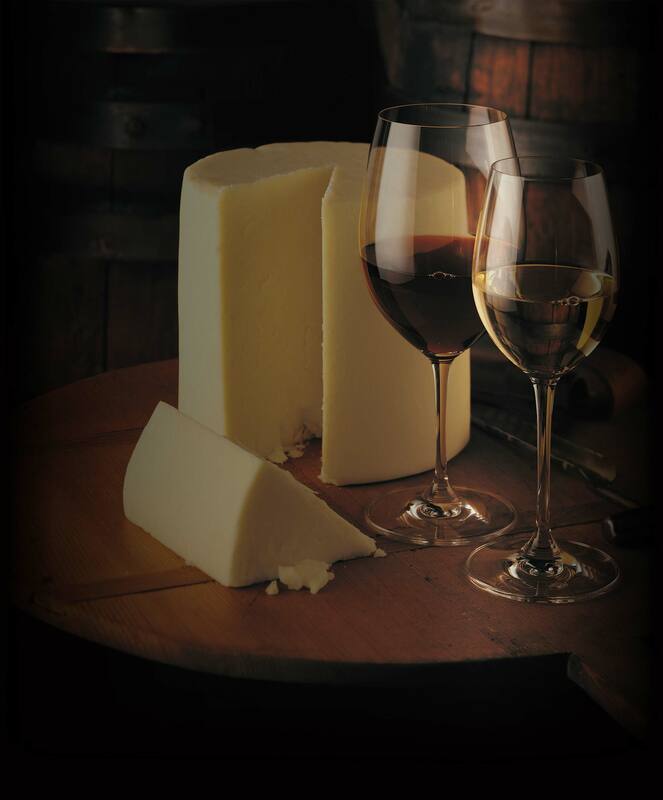 Aged cheeses that develop stronger flavours and aromas as they mature are better suited for more robust wines. For a cheese plate, cheese board or wine pairing, select a variety of cheeses that have range of texture, flavour and visual appeal and, if possible, select your variety from the same geographical region or country to give it a “terroir” appeal. Both the wine and cheese go well when served with crackers and toasted breads that have complementary fruit flavours such as raisins, dates, figs and other dried fruits. Avoid crackers that have salt or herbs added. BALDERSON MILD: a gentle, buttery cheese that would go well with a dry sparkling wine or a Sauvignon Blanc, unoaked Chardonnay or a dry Rosé. Avoid full-bodied reds with tannin or oak-aged Chardonnays whose flavour will overpower the cheese. Try full reds like Beaujolais, Cabernet Sauvignon and Burgundy. Excellent white wine matches include Pinot Grigio and the new white Merlots. Try full bodied, well-structured reds like Shiraz and Merlot. BALDERSON EXTRA OLD: a Cheddar aged for up to eighteen months takes on a lively bite that requires a well-structured red wine to balance its intensity of flavour. A Canadian Merlot with its ripe blueberry-blackberry flavour will fit the bill. BALDERSON ROYAL CANADIAN CHEDDAR:A great all round flavour favourite that complements and enhances most wine pairings. BALDERSON HERITAGE (3 YEAR/5 YEAR): a rich spectrum of nutty, salty, fruity flavours that linger on the palate, this cheese cries out for a full-bodied and rich red wine, port or dry sherry. BALDERSON SPREADABLE CHEDDAR: a spreadable Cheddar goes nicely with herbed or flavoured crackers, in particular cracked black pepper, or even hot flavours. But, as with all fine cheese, it’s always better to stay with the basics. Pairs well with most beverages. Which pairs best with soft cheeses like brie and camembert: red or white wine? What about harder, more mature cheeses such as cheddar and parmesan? Which cheeses will please those who prefer a beer or cocktail to wine? Now it’s fast and easy for you to find drink matches for 219 cheeses, plus thousands more pairings for appetizers, main courses and dessert with the new Nat Decants Drinks Matcher. It’s like having a personal sommelier and a bartender at your side. 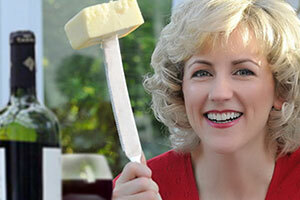 Natalie MacLean, editor of Canada’s largest wine web site at www.nataliemaclean.com, has created a pairing tool, along with other wine and cheese pairing tips. You just choose either a type of cheese or a type of drink on the pairing widget and then you can see a number of suggested pairings. Natalie also offers a version that works on your iPhone, iPod Touch or BlackBerry.